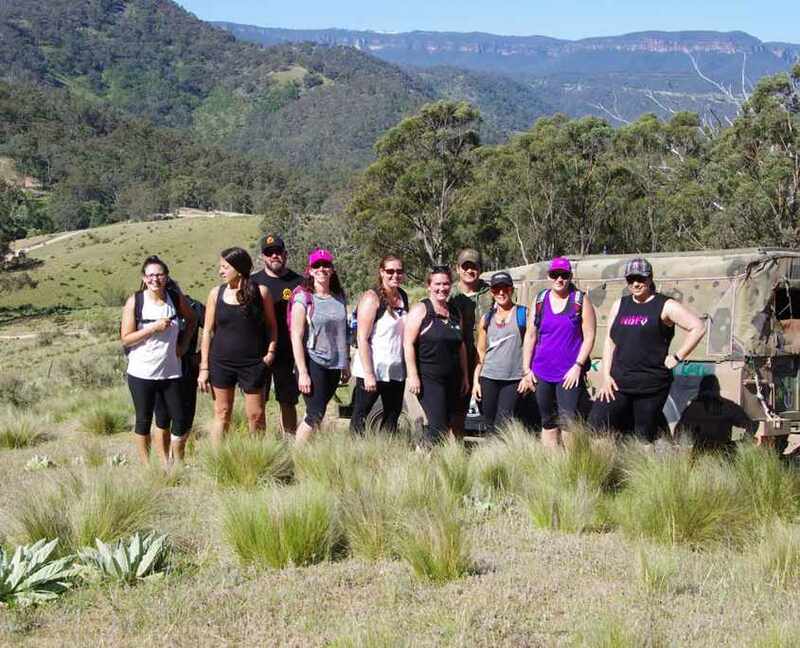 Peak Potential Adventures invites you to join us on a journey of discovery, as we trek through some of Australia’s most historic and beautiful landscapes on the Six Foot Track Trek. Departing monthly, the Six Foot Track Trek is one of Peak Potential Adventure’s most achievable, fun, and accessible treks. The challenge, which takes place in the historic Blue Mountain’s, located one and a half hours from Sydney CBD, takes adventurers across a trail blazed by Gregory Blaxland, William Lawson, and William Charles Wentworth in 1813, as part of their journey across the Blue Mountains. 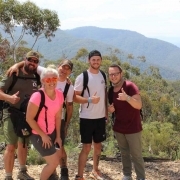 Peak Potential Adventure’s expedition leader, Shane Pophfer describes the trek, “We sometimes call it the JENKAT because the trek runs from the Jenolan Caves (JEN) to Katoomba (KAT), and in its entirety, and the track is around 45 kilometres long,” said Shane. “Although it might not be just as challenging as some of our other adventures, it definitely does test your resolve. “I like to think of the Six Foot Track Trek as a trial run for some of our bigger adventures like Kilimanjaro and The Overland Track, as it helps to build confidence, but it is a challenge on its own, and when you complete it, there is a real sense of achievement — it’s rewarding,” Shane said. In total The Six Foot Track Trek runs for two days over the weekend, with the team leaving the Jenolan Caves at 8:00am on Saturday morning. 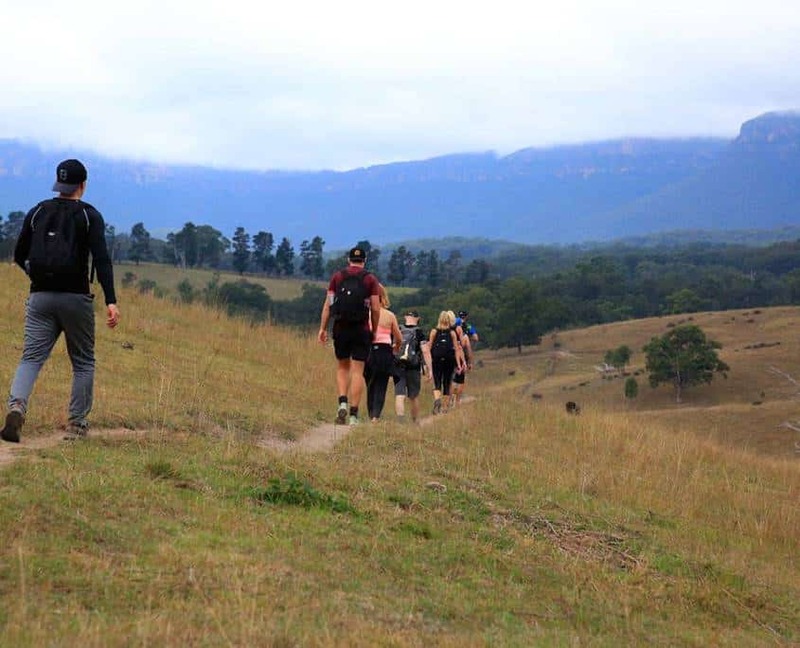 “With Peak Potential Adventures, we aim to start the trek leaving from Jenolan Caves at around 7:45–8am, and on the first day we walk to the Eco Lodge at Coxs River, with our aim to arrive between 3–3:30pm, however, it is dependent on the team’s speed, but we like to get in there before 4pm,” Shane said. 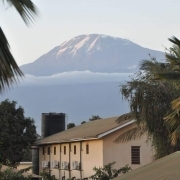 “We spend the night at the Eco Lodge, get the fire going and enjoy some downtime at the lodge. It’s usually really good fun, and a great time to just catch up and chat about how the trek is going. We put a good feed on as well. “The next morning, we aim to leave the Eco Lodge around 7:30am, trekking to our first stop at Megalong Valley which we usually get to around 10-10:30am. From there we take the final leg of the journey, aiming to get to Explorers Tree between 12:30-1:30pm, wrapping up there at Katoomba,” said Shane. Unlike other Peak Potential Adventure challenges, Shane believes The Six Foot Track Trek is something that anyone who is willing can tackle. “One of the best things for people who want to attempt the trek is that we run a support vehicle for just about all of it, so if it does become too challenging, you are able to jump in for part of the journey. This way, we think it opens the trek up to anyone who wants to give it a go,” Shane said. As part of Peak Potential Adventures Six Foot Track Trek, teams are limited to 10 to allow for a more personal and enjoyable experience. “We honestly believe we offer the best program for this trek in Australia,” said Shane. Much of the necessary gear will be provided by Peak Potential Adventures, however, it is important to wear comfortable walking shoes or boots, a jumper and warm pants, toiletries, sunglasses and sunscreen. Morning tea, lunch, and a three-course dinner are provided on Saturday, while breakfast and lunch are provided on Sunday, as well as a variety of snacks throughout the two-day trek. If you are interested in finding out more or joining Peak Potential Adventures on its historic Six Foot Tack Trek, you can find more information around the trek here.